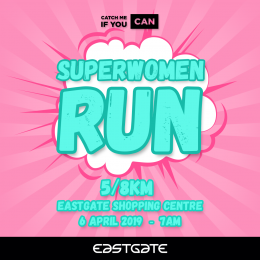 All women are invited to lace up for the CMIYC Superwomen 5/8km Run at Eastgate Shopping Centre. Bring your sisters, girlfriends, aunties, mom and kids. This fun run will take place on Saturday, 6th April 2019 at 7am. Participants can walk, run, laugh and crawl the 5km or 8km route and will receive a beautiful superwoman medal at the finish line. Catch Me If You Can is partnering up with Eastgate Shopping Centre to celebrate women in South Africa. The annual event is chosen to empower women from all walks of life, young and old, to participate at your own pace. The run is open to all females. 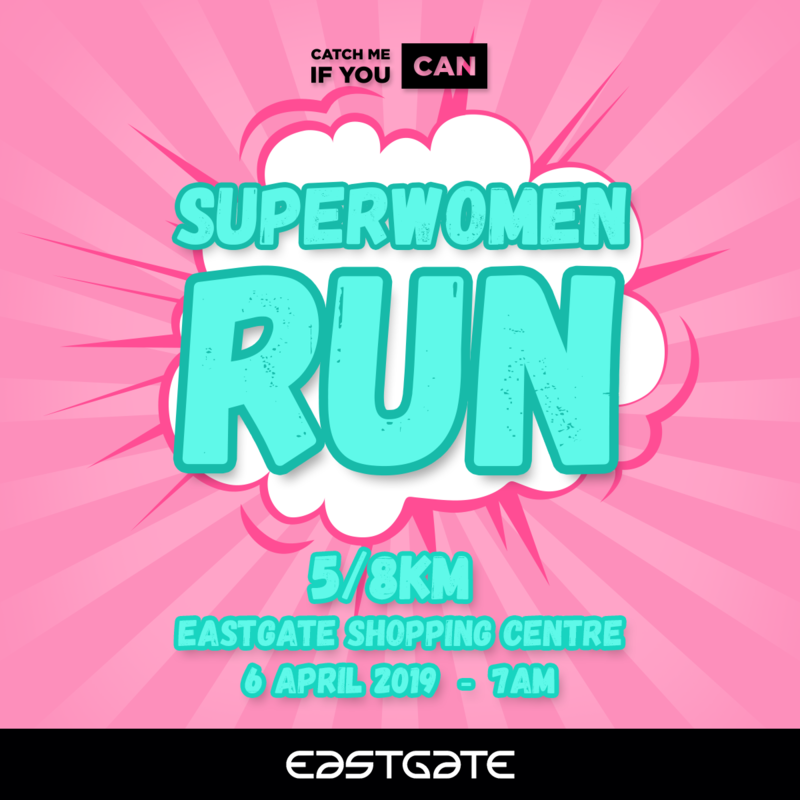 Join the Superwomen 5/8km Run on 6th April 2019 at Eastgate Shopping Centre. Catch Me If You Can (CMIYC) is South Africa’s largest all women running community that connects ladies of all ages, shapes and sizes. We helped thousands of women con-nect and build lasting friendships whilst improving their health, fitness and lifestyles. We run all over South Africa, giving you the opportunity to discover the most beautiful routes and races in your area. We offer safety in numbers and a chance to get out and have some fun with our leaders. Our CMIYC Women Running App is available on Google Play and App Store to find safe CMIYC group runs, meet other like-minded women and start an amazing running jour-ney.